This one is yet another creation for my son’s birthday pool party. 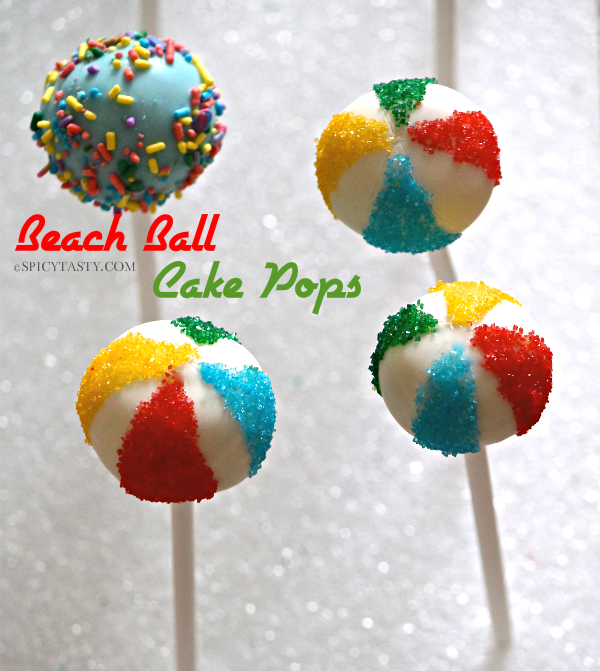 If you are planning for a beach party or pool themed party this cake pops are so perfect for it. 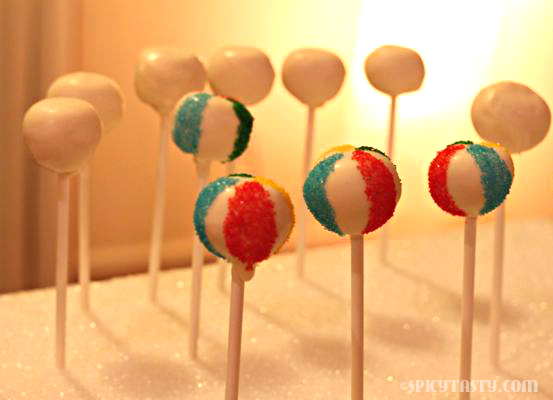 Everyone loved it and I wouldn’t say it’s easy to make it but it’s definitely fun to make these cake pops. Bake the cake as per the instructions given in the box. 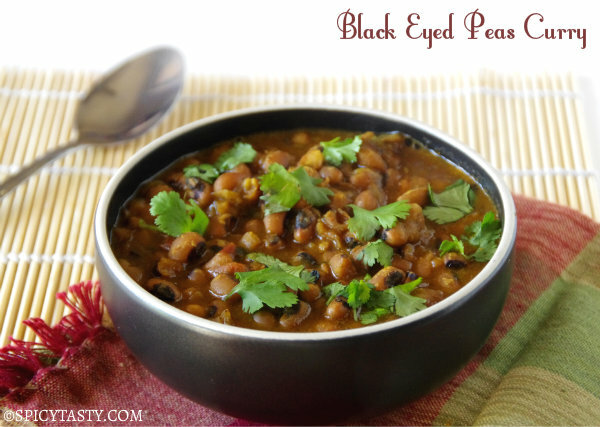 Once it’s cool down crumbled into large bowl. 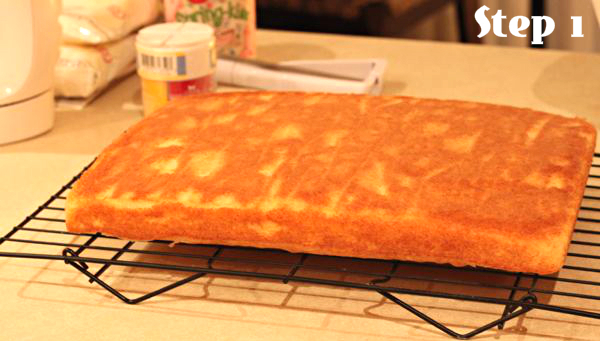 Now add 1 can of butter cream frosting (you can use any frosting). 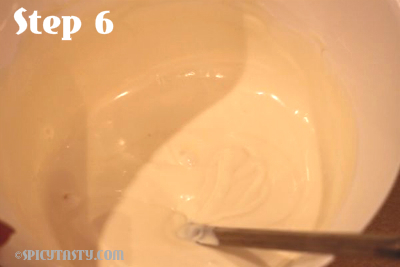 Gently mix the cake and frosting evenly either using your hand or spoon. 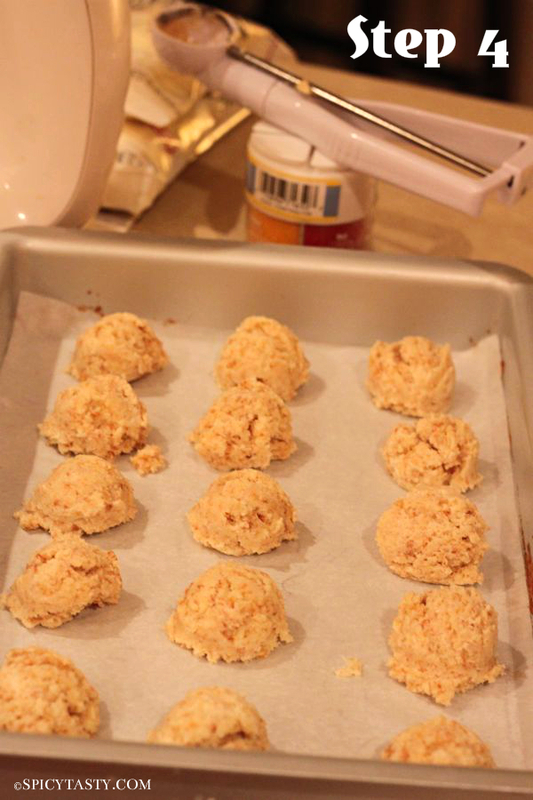 Once it comes into dough consistency to roll, using the cookie scoop make even balls and place it in a wax paper or you can use your hand to make even size balls. After that roll them into smooth ball. And melt the candy melts and make sure the coating is really fluid and it pours of the Spoon. The consistency should not be thick but perfect for coating. 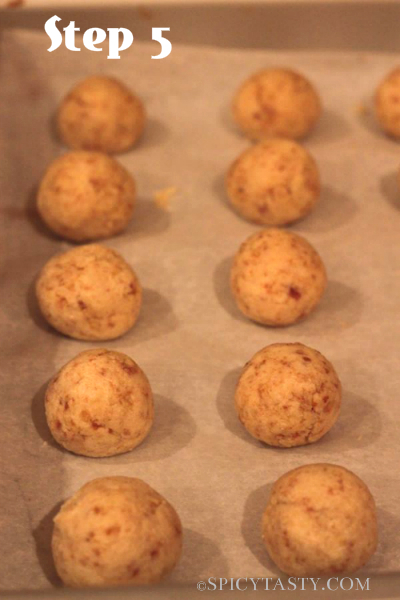 Now place them in the freezer for 20 minutes to firm up. 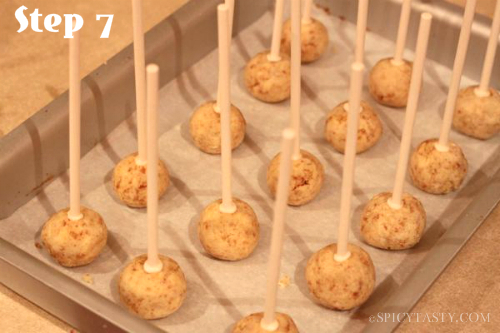 Once it’s firm carefully insert the cake ball into candy coating by holding the stick and rotating gently until it’s covered. After that remove and gently tap and rotate until the excess the candy falls off. Now place it in a styrofoam block to dry. 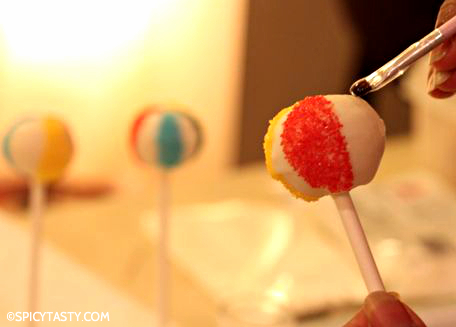 Once it’s dry, use tooth pick to draw lines on the cake pops gently . 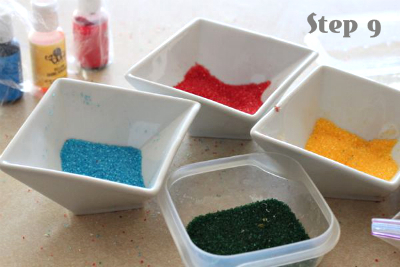 Brush each section with corn syrup and dip it in the colored sugar sprinkles as shown in pic. 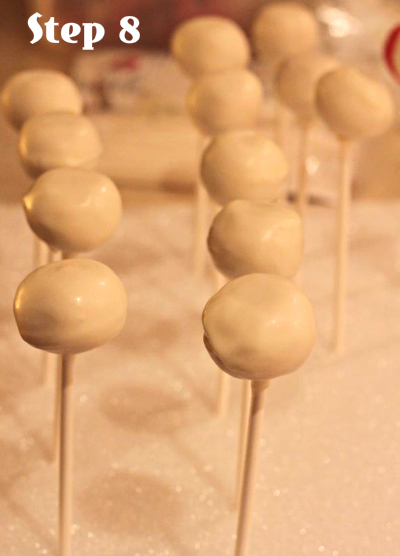 Now the cake pop is ready to serve. 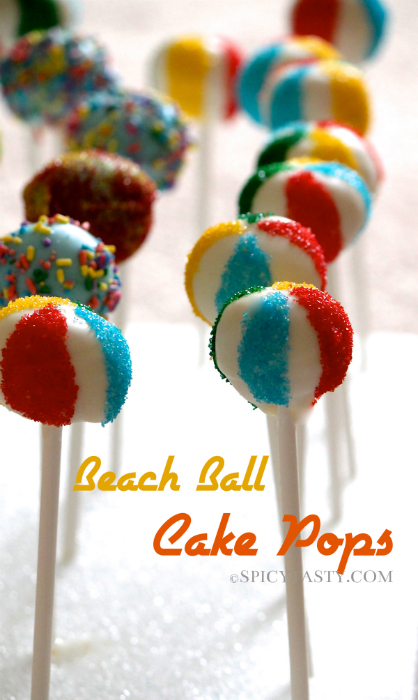 You can make this cake pop 3-4 days before any occasion. You can just leave it in the room temp for 3 days, if it’s more than 3 days just put them in fridge. 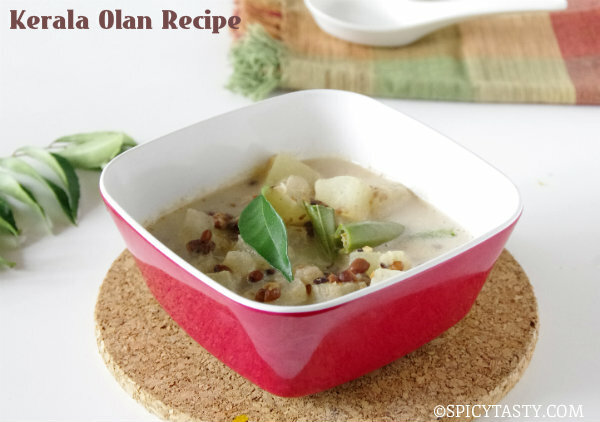 Wonderful…… Wish I could bake something like that one day. Droooolicious. Would have been nice if u had uploaded the picture of the joyful kids who got to eat this.Nice effort.